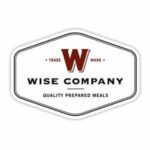 Wise Company can easily be described as a real prepper’s paradise. 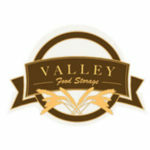 From freeze-dried and dehydrated food to various survival and first aid kits and power supplies, this company has it all. It’s a true one-stop shop, providing you with everything you need, whether you are preparing for a camping trip or a much-dreaded large-scale disaster. Don’t be afraid, be prepared is the motto of Wise Company. The range of situations it helps you prepare for is truly impressive. If you want to take a look inside this shop of wonders, join us as we take a peek in this Wise Company review. We have already mentioned that the variety of products this company offers is truly incredible. What is also amazing is the quality of its products. 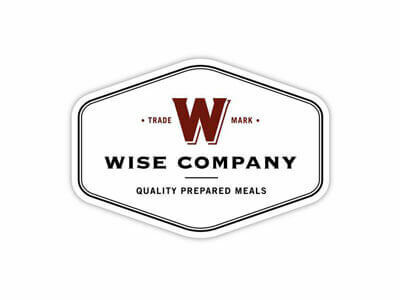 The people behind Wise Company apply the most adequate methods of preservation for all food items, which is why the company offers both freeze-dried and dehydrated food. These advanced methods are the reason why its food can last for up to 25 years. What we also liked while researching for this Wise Company review was the fact that the company takes care of the special dietary needs of its customers. It features special food items particularly created for survivalists who are on a gluten-free diet. While the name of the company would lead you to think that it exclusively focuses on food, the fact is that it provides you with much more. It brings you all sorts of equipment that can help you survive both indoors and outdoors, store and filter food, stock on fuel, and have a steady source of power no matter the circumstances. Wise Company puts in a lot of effort into helping you prepare for any type of emergency. Its food storage calculator lets you easily find out how much food your family needs, that is, which long-term food kit is the right choice for you. However, before you purchase a large package, you can have a taste of its food by ordering samples. This way, you can easily determine if Wise Company works for you. The company has an excellent rewards program. When you create an account, purchase something from them or refer a friend, you get points you can exchange for money you can spend at this incredible store. Every 1000 points can be exchanged for $10. Creating an account gets you 200 points while referring a friend gets you 1500 points. For every dollar you spend in the store, you get 5 points. Real preppers look out for one another. If you know someone who would appreciate the range of products available at Wise Company, you can send them a $50, $100, $250 or $500 gift card. The cards are also a great way to get your loved ones to seriously consider prepping. Since it offers a wide range of products, Wise Company had to conveniently classify all of the items it sells in order to help you find what you need more easily. The items are divided into 5 categories: long-term food kits, emergency food kits & supplies, meats, fruits & vegetables, camping food, and power supplies. These main categories are further subdivided into up to 7 sections. The content of each item in each section is explained in detail in order to let you know what it is suitable for and what you get in the package. We will also name the price ranges for all categories, but keep in mind that there are always some nice discounts and special offers that can help you save quite a lot of cash. 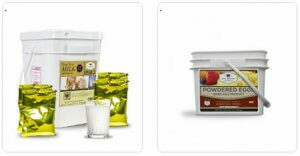 The long-term food kits come in 6 different sizes. You can choose between 12-month, 6-month, 3-month, and 1-month food supplies. There are also short-term kits, including food supplies for a week or 72 hours. This section also features gluten-free products, with 10 different gluten-free items, including excellent savings packages. Depending on your needs and plans, you can buy kits that include as few as a dozen and as many as 4320 servings of various meals. The prices range from only $19.99 to as much as $6,999.99. When it comes to emergency food kits and supplies, they are divided into 7 sections, including emergency food kits, survival kits, water storage & filters, fuel sources & stoves, non-hybrid seeds, other survival supplies, and first aid kits. The items in this category allow you to fully prepare for any emergency, no matter how big or small. 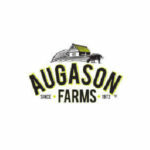 Wise Company brings you all kinds of food, including dairy, eggs, meat, fruit, and vegetables, as well as non-GMO seeds in case the emergency turns into something longer-lasting and you need to grow your own food. With Wise Company, you will always have a source of drinking water, as well as enough fuel. Accidents happen often happen when least desired, which is why the first-aid kits in this section can come extremely handy. Just so you get a sense of the range, the prices of emergency food kits range from $89.99 to $479.99. As far as meat, fruit, and vegetables are concerned, you can choose between freeze-dried meat, fruit, and vegetables, as well as powdered eggs and milk. These food kits cost from $29.99 to $2,609.99. If you are looking for food for camping or cooking gear, you can find them in the camping food section, with prices ranging from $24.99 to $179.99. Last but not least, Wise Company brings you various kinds of power supplies for different purposes. You can get connector cables, solar backpacks, survival kits, food, water, and power bundles, as well as power generators, chargers, and solar panels. Basically, you can get all kinds of power supplies for emergencies lasting for only 5 days or any period of time. The prices in this category range from only $24 to an astonishing $11,479.99. Wise Company ships all over the world, so wherever you may be, its merchandise can reach you. The shipping costs vary immensely depending on the location and the same goes for the time it takes for the delivery to arrive. Usually, the shipments arrive within 10-14 business days, but sometimes, it may take as many as 28 days. The deliveries are shipped via FedEx or LTL carriers. In case you are not satisfied with the merchandise, you can return it within 90 days of purchase and get a refund. All you need to do is contact Wise Company via phone or email and once you get back from them, send the merchandise back (don’t forget to keep the shipping records in case the shipment gets lost). The refund is made in the same form as your payment. Refunds can be expected within 20 days after Wise Company receives the returned items. Wise Company is not your average provider of emergency and survival supplies. It boasts variety and quality you are not that likely to find elsewhere. Its selection covers everything you may require in case of an emergency or disaster and although it may be a bit pricey, it offers plenty of discounts and other ways to save cash on your purchases. We also like how it does not only focus on the most undesirable scenarios but also helps you prepare for some amazing adventures, whether for backpacking through a rainforest or desert or just a fun camping trip with your friends. Great stuff but don’t get why it takes so long for it to arrive, I’m in California, not Timbuktu. A godsend in these awful times. God bless these wonderful people. Open your eyes people and start prepping! Had troubles testing the generator but they solved the problem quickly. Still, keep this in mind, test the gear before you need it! Other than a slight mishap with fire starters, we couldn’t be more satisfied! Ordered a new batch of goodies last week and can’t wait for it to arrive!